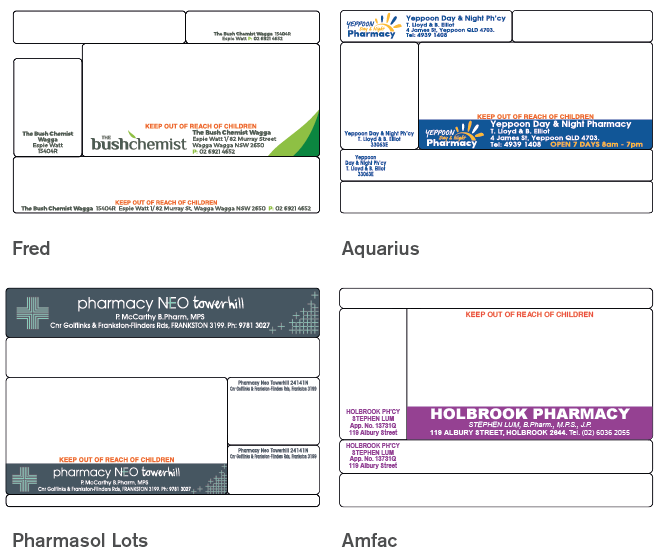 Dispensing labels are a critical part of any retail pharmacy and an essential element in providing medicines information to consumers. The consistency and reliability of label performance is particularly important to ensure the information is presented to consumers at the highest level and the print quality is maintained over time without fading. Our dispensing labels are manufactured in Australia on high quality top coated direct thermal paper and can be produced to suit all dispensing software systems. When it comes to dispensing labels, you can trust StirlingFildes.